Energy-efficient light bulbs have come a long way over the years. The lighting efficiency standards require light bulbs to use about 25 percent less energy. 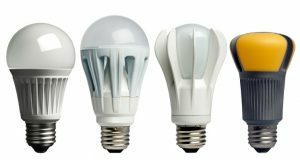 Since 2014, several manufacturers have released ENERGY STAR bulbs that surpass 100 lumens per watt. Traditional incandescent bulbs provide 13 to 18 lumens per watt and no longer meet the light bulb efficiency standards. New light bulbs that meet the new standards offer a wide range of choices in color and brightness. They also last much longer than the traditional incandescent bulbs. The new standards require light bulbs to consume fewer watts (electricity) for a number of lumens (lights) produced. Compared to traditional inefficient incandescent 100W bulbs, energy-efficient halogen incandescent bulbs use only 72W or less to provide you a comparable amount of light. If you are replacing a 100W bulb, you should look for a new bulb that gives you about 1600 lumens. New energy-efficient bulbs should provide a level of brightness for no more than 72W, which will cut your energy bill and save you more money. Energy-efficient light bulbs may seem like a significant cost up front. However, they do last up to 25 times longer than inefficient light bulbs which will save you money in the long run. An incandescent bulb may last up to 1,000 hours to 2,000 hours, while a LED bulb can potentially last 25,000 to 50,000 hours. Energy-efficient light bulbs provide several benefits to you and your family. We encourage everyone to invest in these light bulbs for their homes. Take a look at our past blog to find out the differences between the most popular types of energy-efficient light bulbs. Also, follow Breedlove Dobbs on Facebook for more energy-efficiency tips.